I can't tell you how amused I am to see 'Bad Box Art Mighty No. 9'. final design is awful. Should have gone with exe. Your opinion and face are awful. WoW, the EXE one looks so nasty. I dont like the final design at all. The final design is what I expect when they announced last month. It is almost like Megaman Clone. Good job! More tradition! Ha ha, everyone over at the Kickstarter page is saying they love the cape. 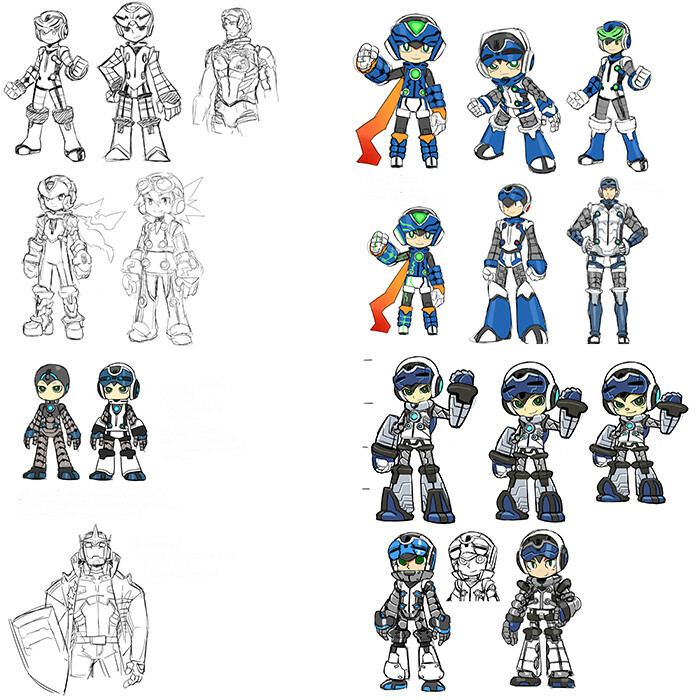 They should add some of the Mega Man-esque concept art designs in as alternate costumes. Then again, Capcom might sue. There are definitely some in there I like better than what they picked.